My husband and I got into an argument the other day. I was mad. Like the mad that comes after an exhausting and emotionally-charged back and forth of his way and my way and pushing all the "right" buttons in all the "right" ways, armed with the knowledge that only comes from loving someone for year upon year. And, just when I thought we were finished, one of us found a way to one up the other and we were back jousting again - jabs, shields, and feet at work while attempting to balance on the shaky ground below. After going back and forth in our There is no compromise and I won't back down duel, my husband said something to which I had the perfect response. I will win with this one, I thought to myself. A zinger of zingers, if you will. It would land swiftly and sharp. And, it would sting. Because when someone gives you permission to love them, they also hand you the tools to hurt them. 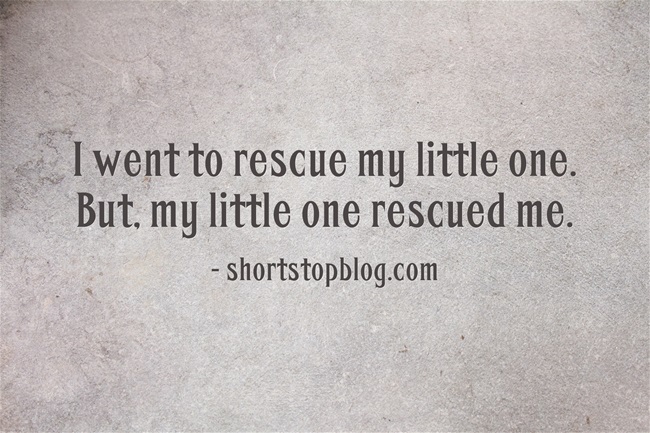 But, just as I began to open my mouth, I had to dash out of the room to rescue one of my children from imminent peril. So I did what I always do when I've got a zinger in my back pocket burning a hole to get out. I hurried through the rescue, watching the door with one eye, pining to get back and relay my winning blow. As I sat there comforting and wiping tears from the flushed face of my little boy, the zing was seeping out of my Mother of all Zingers. And, what seemed like the perfect response during a heated exchange sheer moments before, revealed itself as a lame and pathetic attempt to hurt the one that I love. I went to rescue my little one. 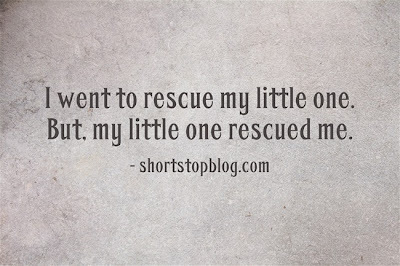 But, my little one rescued me. Zingers deflate in mere moments. What a beautiful post. You are a stellar writer and I love how you craft your words and ideas together. Absolutely beautiful. Thanks for your blog. I have recently found it and it is so inspiring in a very real way from a real girl that loves a real God.